Your credit score will suffer after you file for bankruptcy. Bankruptcy will stay on your credit report for up to 10 years after you file. Although you cannot avoid this hit to your credit, you can take steps to mitigate it by raising your credit score and maintaining good credit habits after you file for bankruptcy and after your case is closed. Below are four strategies to use to help yourself rebuild your credit score after bankruptcy. Although credit cards might be what got you into debt in the first place, you can use them responsibly and rebuild your credit score at the same time. 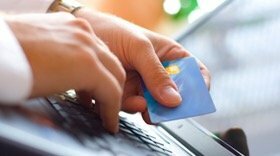 Consider getting a secured credit card, a card with a credit limit determined by the collateral you put down, to begin this process. If you currently have credit cards, commit yourself to using them like debit cards: charge only as much as you know you can pay off in full at the end of each billing cycle. Paying debts on time, such as utility bills, etc after a bankruptcy starts the process of rebuilding your credit score. Pay all debts on time for two years, and see how much your score will improve. Look back on your notes from this counseling course if you are having difficulty putting your plan and strategies into action. If you need further guidance, talk to your bankruptcy lawyer or consider working with an accredited financial counselor. Two of the most important factors used to determine your credit score are your payment history and the amount of debt you owe in relation to your available credit. Closing your current accounts reduces your available credit, hurting your credit score. If you feel you cannot responsibly use one of your accounts, destroy the card or lock it away. Before bankruptcy, you might have taken any bonuses or unexpected money and spent it right away. With your future in focus, choose to put any “extra” money into savings, rather than spending it, in order to build yourself an emergency fund. Unexpected expenses like car repairs can also arise and when you have a savings account specifically for these expenses, you can avoid accruing new personal debt. Think of your bankruptcy as the beginning of a new chapter in your life. Completing the bankruptcy process will mean sacrifices and lifestyle changes for you and your family, but these changes will lead to a more balanced, healthier financial lifestyle in the years that follow. 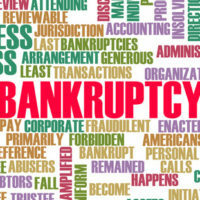 To learn more about the bankruptcy process, contact our team of experienced Orlando bankruptcy lawyers at the office of Goodblatt · Leo today to set up your initial consultation with a member of our team.